OK so I just finished typing this post already and somehow I pressed a button and it vanished but because I love you all so much I will retype it. I have been lucky enough to be involved with a print project that includes several of my past CCS professors. Just knowing who is going to be making prints for this project has me excited and hoping that I can bring something great to the table. The project is centered around the seven deadly sins and I have been chosen to create a piece about pride. 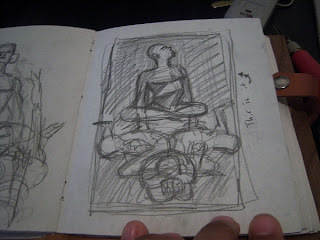 This image is a sketch from a series of sketches before I arrived at my final idea. While researching pride I found that it was the basis for all of the other 6 deadly sins. So I knew that I had to come correct with whatever idea I had. My first idea centered around a figure that was completely oblivious to others around him and totally consumed with himself. So I began to build off of this idea and started to think about how a prideful person may neglect their fellow man. After I had my final idea I moved to a more traditional renaissance triangle composition so that the print would have a tight graphic feel. I was looking at the works of Charles White and M.C. Escher. 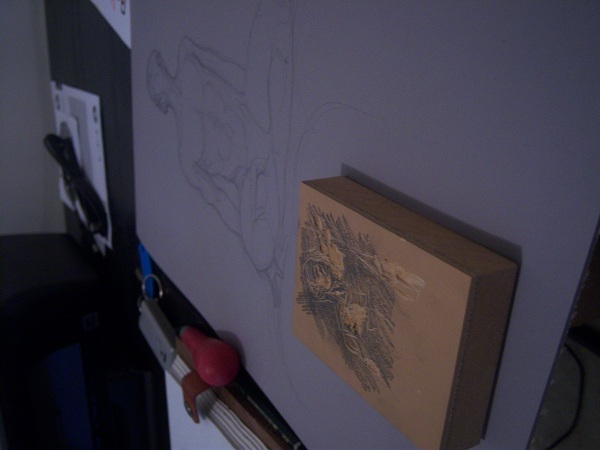 Finally I started to draw on the linoleum so that I would know where I needed to begin. Before I started on the large linoleum I bought a small test block. I have not done this process in so long so I did not want to mess it up. 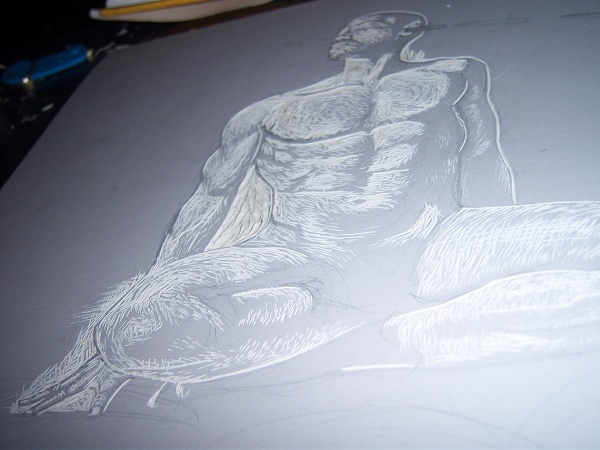 Linoleum is a printing process that is very different from etching, which I am used to. 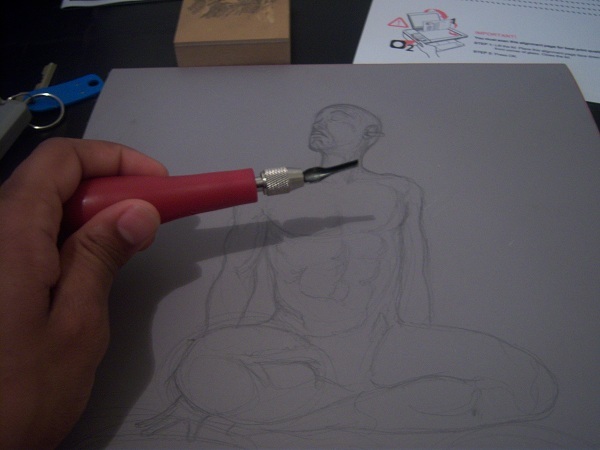 Instead of the ink sinking into what you cut out, like etching, it sits on top of the surface. So therefore what you cut out in linoleum will remain white and what you leave stays black. 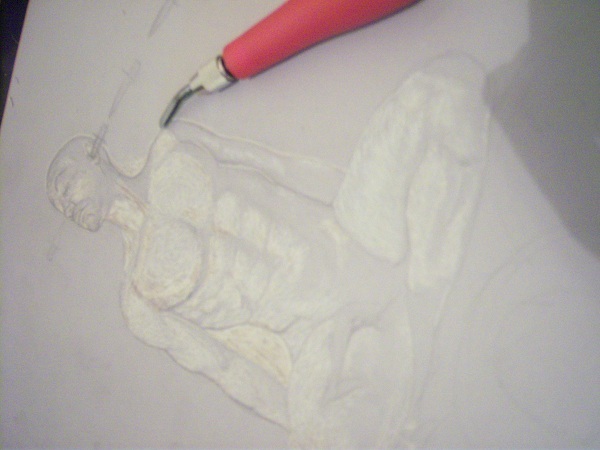 It is like drawing on a black piece of paper with white color pencil where you focus on the highlights. 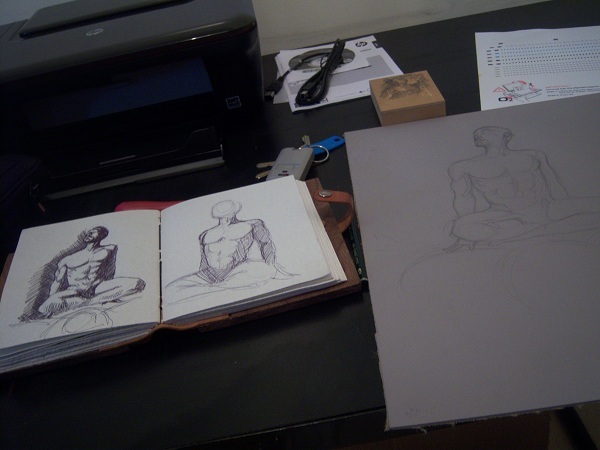 ﻿So here is what I have so far, I will keep updating as the piece comes along. If you don't know now you know!! !